This is the only waterfront motel at Sauble, the Kit-Wat Motel. Located on the Sauble River, the marina, motel and restaurant are just a 5-minute walk to beautiful Sauble Beach. Rooms are comfortable, and the staff strive to make your stay as perfect as possible. The restaurant is best known for their hearty delicious breakfasts, enjoyed by locals and visitors alike. They also offer boat rentals by the hour. The Quality Inn is within easy reach of golf courses and excellent Southampton's High Street shops and restaurants. 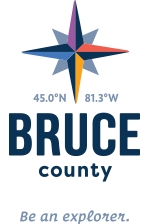 A short drive will take you north to Sauble Beach or south to Port Elgin or Kincardine. Rooms are large and the facility underwent an extensive renovation. They also offer banquet and conference facilities. Discover all the great activities and events on the Huron lakeshore from your base at the Port Elgin Super 8 Motel. This comfortable motel is close to restaurants, shopping and many outdoors activities like fishing and golf. Close the beach, you will see why visitors to the Bruce say the best sunsets are found here. Family owned and operated, the Colonial Motel in Port Elgin, offers excellent year round accommodation and amenities for vacation or business travel needs. It’s located within walking distance of excellent shopping and restaurants and the Port Elgin beach. Just off Highway 21 in east Kincardine, you’ll discover this traditional red brick hotel. The Best Western Plus Governor's Inn is just two kilometres from the Lake Huron waterfront and beach, amazing shopping, restaurants and patios, ice cream and bakery, and the Kincardine Lighthouse and Museum. Situated in Kincardine, the Marriott hotel is within three kilometres of Bluewater Summer Playhouse, Walker House, and Kincardine Lighthouse – great attractions to discover if you’ve never been to them. Kincardine Golf Club and Station Beach are also within five kilometres. The hotel features fully-equipped kitchens and an indoor pool and fitness center. It also offers the only extended-stay lodging in the area. Time to plan your activities! You've picked your accommodations, now it's time to pick what you're going to do! Visit out Things to Do page for ideas!